So, I saw this idea to make fries out of Jicama and I thought it was genius. Knowing Jicama , I was quite confident that the fries would turn out fabulous. And, indeed I was right. We all loved these things and I am so excited to have a fry recipe I can rely on for times when we’re having burgers or kabobs or I just have a crazy craving for fries. I wouldn’t feel all that guilty about snacking on these!! You can totally season these with whatever suits your fancy. This particular time I used a blend of garlic, parsley, salt, and pepper. I think they would also be great with chili powder and smoked paprika. Yum, yum! Using a vegetable peeler or paring knife, remove the papery-thin peel of the jicama root. When you have cleanly removed all of the peel, slice the jicama into flat rounds about 1/2 inch thick, and then cut them up into strips resembling steak fries. 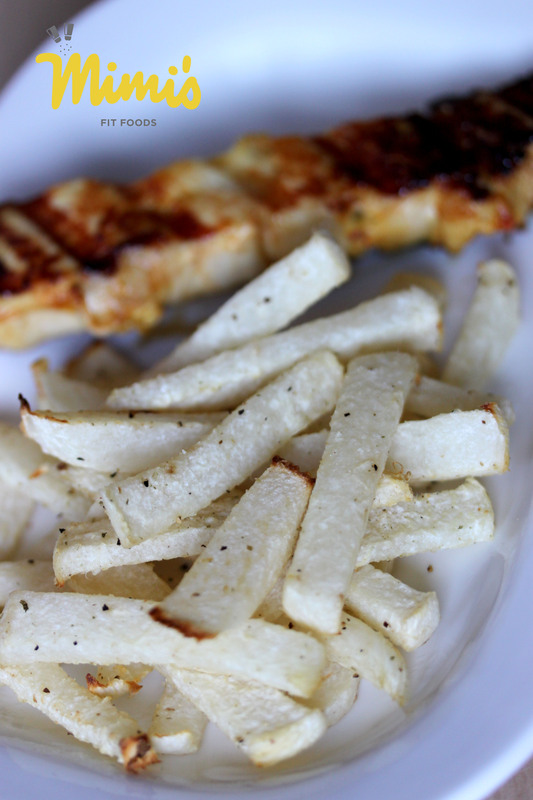 Lay your jicama strips out in one layer on a non-stick baking sheet, and prepare your seasonings. Mix the seasonings in a small bowl and sprinkle them over the jicama strips as evenly as possible. Using an oil mister, apply a thin coat of olive oil. If you don’t have a mister, just drizzle the olive oil over the jicama. If need be, toss the fries around on the baking sheet to even out the seasonings and oil. 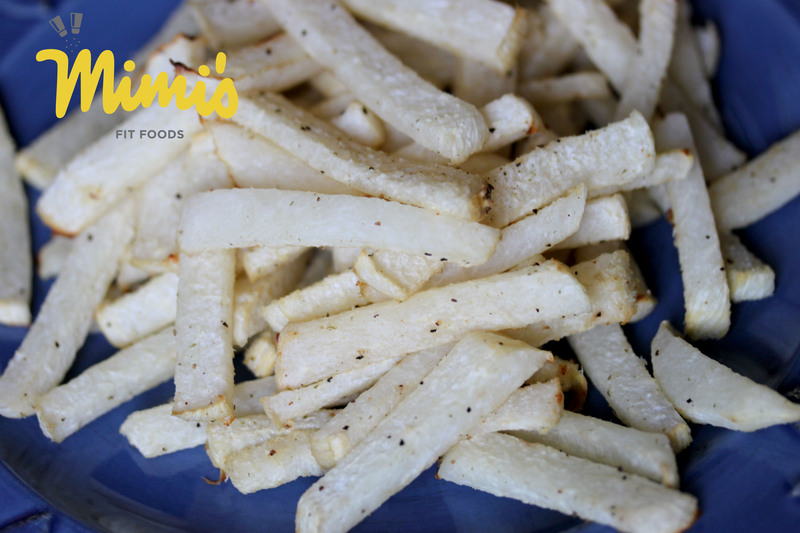 Bake the seasoned jicama fries in the oven at 375 degrees for 15-20 minutes, toss fries (or take the time to flip them all over) and bake for an additional 15-20 minutes, until they are golden-brown and crisp. Enjoy! Wow, jicama fries, very creative! I actually like jicama, but most of the time just eat it raw. Thanks for sharing this.